Flow Control Valve,Available in control-out styles. 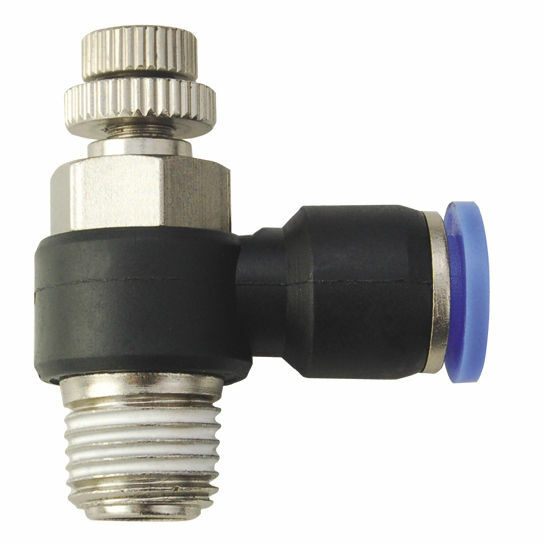 Available with push to connect output fittings. Multiple sizes available. Maximum operating pressure of 150 PSI. Operational temperature range of -15°F to 140°F. Material:rotating thermoplastic (PBT) body, nickel-plated brass threads. Operating pressure (PSI) 0to 150psi.